Formed out of a desire to provide quality live music for Irish céilí dancers, the Twin Cities Céilí Band hearkens back to the days of the big céilí bands. 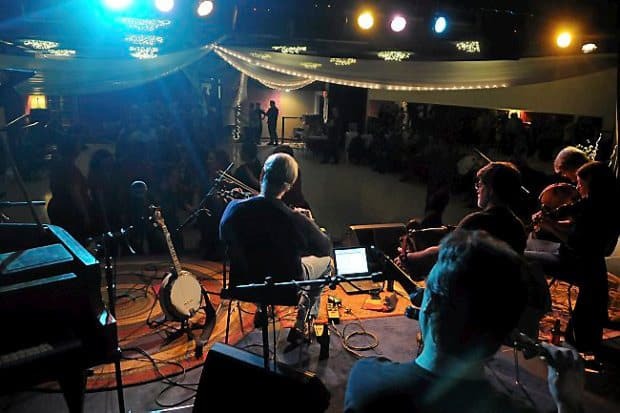 The band first began playing for the “Third Saturday Céilí” at Odd Fellows Hall in St. Paul, but has branched out to play for the weekly Irish set dances at the Vine Center for the Arts, as well as other céilí dances at locations such as the Tapestry Folkdance Center and The Celtic Junction. Smaller subsets of the band have accompanied the Mooncoin Céilí Dancers and Knocknagow Irish Dancers.